Responsible sourcing of metals is characterized as an approach for life cycle management (LCM) and sustainable supply chain management (SSCM) of social issues. The focus is on the supply of “conflict minerals”—tin, tantalum, tungsten and gold (3TG)—whose mining and trade are implicated in conflict and severe social conditions in the Democratic Republic of the Congo (DRC). Downstream manufacturers are using compliance strategies to reach multiple tiers and long distances into product-chains to buy conflict-free sources of these metals from mines, smelters and refineries. The research uses qualitative methods and public documents to compare sixteen conflict mineral programs. A theoretical framework in three dimensions guided the enquiry into program governance, program standards, and certification processes. Additional empirical analysis of the Conflict Free Sourcing Program, the largest and most central industry-led effort on conflict minerals, was supported by confidential access to audit reports, company policies and management procedures on more than 140 metallurgical facilities. In less than four years, conflict-free sourcing programs have impacted global 3TG metals supply chains, as indicated by pricing and significant producer compliance. Electronics, jewelry and other manufacturers—many influenced by US conflict-minerals regulation—are “pulling” metals markets for conflict-free sourcing. Private standards programs focus on product-chain chokepoints to support efficient engagement: a limited number of 3TG facilities that are influenced to implement “responsibility management systems,” practice conflict-free sourcing, and undergo compliance audits. Some supply chains operate as closed-pipelines along the full product chain from mine to end-product. Tantalum has been most successful as about 95% of producers are compliant; however for gold, in particular, the scale of compliance is challenged. Downstream manufacturing industries are “governing at a distance” the management practices of upstream raw materials producers. For LCM, responsible sourcing may be applicable to product chains with other metals and commodities. For SSCM conflict free sourcing indicates how compliance and supplier development strategies can penetrate multiple tiers into supply chains to address social issues in developing countries. Future research is needed on understanding more on supplier companies and their motivations, and on sustainability performance outcomes for the conflict minerals problem. ENBUS 202 - Environmental management systems is a core course delivered to second year students in the Environment and Business program at University of Waterloo in the fall term. This year marks the 18th for this course. The examination and evaluation of Environmental Management Systems such as ISO 14001. Alternate EMS systems will be compared and reviewed to identify their respective strengths and weaknesses. Case studies will be used to illustrate the ideas presented. 2. Also required is the ISO 14001:2004 standard. This 12-page document is required reading and critical to the course. Get the right document! The identical standard is available in other languages – which may be helpful to some – but the course is in English. It is available as a PDF. ISO (2004). 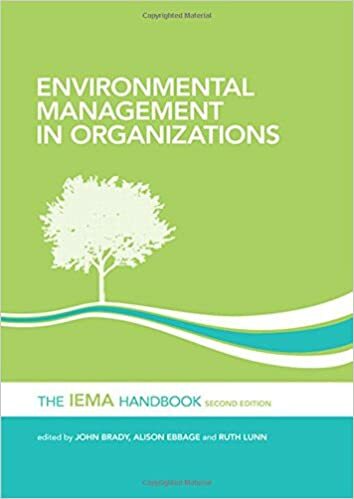 Environmental management systems - Requirements with guidance for use. International Organisation for Standardisation. ISO 14001:2004. Geneva: International Organisation for Standardisation. Once into the CSA site, look for "Environmental Standards" - and get the correct version of 14001 (English, 2004 edition) that are the requirements. 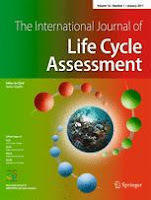 With my colleagues Prof. Guido Sonnemann and Dr. Eskinder Gemechu, at University of Bordeaux, we have tested their method for criticality assessment in life cycle assessment. The paper uses a previously published study on electric vehicles to highlight that issues of critical materials like neodymium (Nd) and magnesium (Mg) express different hotspots in the LCA study. Introducing a geopolitical-related supply risk (GeoPolRisk) into the life cycle sustainability assessment (LCSA) framework adds a criticality aspect to the current life cycle assessment (LCA) framework to more meaningfully address direct impacts on Natural Resource AoP. The weakness of resource indicators in LCA has been the topic of discussion within the life cycle community for some time. This paper presents a case study on how to proceed towards the integration of resource criticality assessment into LCA under the LCSA. The paper aims at highlighting the significance of introducing the GeoPolRisk indicator to complement and extend the established environmental LCA impact categories. A newly developed GeoPolRisk indicator proposed by Gemechu et al., J Ind Ecol (2015) was applied to metals used in the life cycle of an electric vehicle, and the results are compared with an attributional LCA of the same resources. The inventory data is based on the publication by Hawkins et al., J Ind Ecol 17:53–64 (2013), which provides a current, transparent, and detailed life cycle inventory data of a European representative first-generation battery small electric vehicle. From the 14 investigated metals, copper, aluminum, and steel are the most dominant elements that pose high environmental impacts. On the other hand, magnesium and neodymium show relatively higher supply risk when geopolitical elements are considered. While, the environmental indicator results all tend to point the same hotspots which arise from the substantial use of resources in the electric vehicle’s life cycle, the GeoPolRisk highlights that there are important elements present in very small amounts but crucial to the overall LCSA. It provides a complementary sustainability dimension that can be added to conventional LCA as an important extension within LCSA. Resource challenges in a short-term time perspective can be better addressed by including social and geopolitical factors in addition to the conventional indicators which are based on their geological availability. This is more significant for modern technologies such as electronic devices in which critical resources contribute to important components. The case study advances the use of the GeoPolRisk assessment method but does still face certain limitations that need further elaboration; however, directions for future research are promising. Our new article in IJPSE identifies economic and environmental potential for EV battery reuse in large scale stationary applications, but shows that existing renewable energy policy incentives don't work for implementing energy storage. With the increased use of intermittent renewable power generation, including wind and solar, the need for energy storage is increasing. Re-purposed hybrid electric vehicle lithium ion batteries have been shown to have energy storage potential at a reduced financial cost. In a two stage MatLAB simulation, a Net Zero grid connected facility is created, and then the yearly electricity price of is calculated under various scenario using two different pricing structures, fixed Feed-in Tariff (FIT) and market. The facility under consideration is a commercial distribution center with refrigeration, onsite generation of hydrogen for fuel cell powered forklifts, solar and wind power generation, and re-purposed batteries for energy storage. The FIT mechanism is shown to be a deterrent to implementing energy storage onsite, as well as to increasing the use of locally generated power. The mechanism also negatively influences the indirect electricity emissions, which is not consistent with environmental objectives. van Lanen D, Cocking C, Walker SB, Fowler M, Fraser R, Young SB, Ahmadi L, Thai A, Yeung J, Yip A. (2015). Economic and environmental analysis of a green energy hub with energy storage under fixed and variable pricing structures. International Journal for Process Systems Engineering.